There are many diverse and imaginative innovations that have been created specifically to help care givers and families assist a loved one through the stages of Alzheimer’s or Dementia. 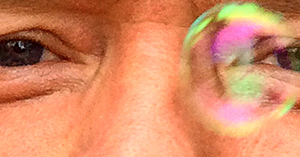 There are new technologies, research breakthroughs, products, articles, creative exercise therapies, ideas and inventions, continually, in the Alzheimer’s and Dementia treatment field. We will introduce you to some of them. This section of our website is devoted to helping you keep apprised of timely research and gizmos. 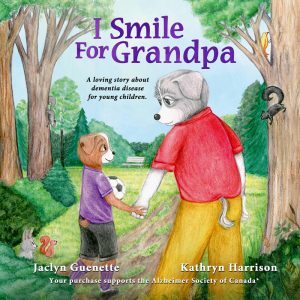 Canadian indie publisher, Flipturn Publishing, with storyteller and Registered Social Work and Dementia Care Expert, Jaclyn Guenette, have created two books to help children when a loved-one is touched by dementia. 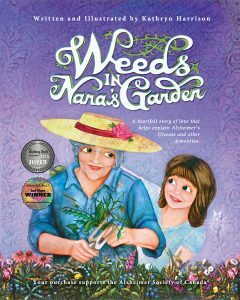 The award-winning illustrated children’s book, Weeds in Nana’s Garden, helps explain Alzheimer’s Disease and other Dementias. Extending from her personal experience with her mother, this book about the touching bond between grand-daughter and her Nan, cultivates understanding of dementia diseases. I Smile For Grandpa, explores the special relationship between a grandfather and his grandchild. Using colourful illustrations by Kathryn Harrison, dementia is compassionately presented through the innocent eyes of a child. Each book includes a helpful kid-friendly Q&A section and all purchases support the Alzheimer Society of Canada. Sign up for the Mayo Clinics online newsletters. There are fabulous articles which cover every aspect of caring for a loved one with Alzheimer’s or Dementia.